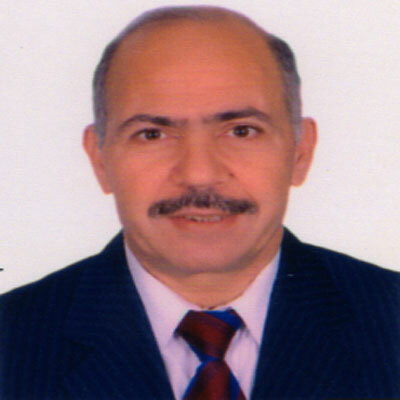 Dr. Abdelfattah Badr is presently working as Professor of Genetics and Plant Biodiversity at Botany and Microbiology Department, Faculty of Science, Helwan University, Cairo, Egypt. He received his PhD degree in Plant Genetics, Sheffield University, England in 1977. His prior work experience includes Teaching Assistant (Demonstrator), Lecturer (Assistant Professor), Associate Professor, Head of Genetics Section and Head of Botany Department at different universities. He supervised 64 PhD and MSc Thesis at Tanta University and other Universities in Egypt. He actively participated in more than 85 conferences, workshops and training courses in England, Saudi Arabia, Germany, Italy, Holland, United States of America, and Egypt: as invited speaker in more than ten and a chairman of sessions in more than seven and co-organizer of three conferences. He is also a member of number of Professional Organizations. He received many Prizes, Grants and Scholarships. He evaluated and monitored many research projects as Head. He is serving as Editor and Reviewer for more than 15 international, regional and Egyptian journals. He published 112 peer reviewed research papers and review articles, 3 text Books in Egypt and Saudi Arabia, 3 Electronic books for the Egyptian National Electronic Learning Center, 3 articles in Arabic in a book and 2 conference proceedings, Editor of 1 book on Industrial Biotechnology and 2 school books translated from Arabic to English. Publishing your research in International Journal of Botany is simple and efficient. You will be guided through the submission process step by step. Before submission of your manuscript, it is strongly recommended to read Guide for Authors to minimize the chances of manuscript rejection.